August 1, 2017 Alexia and I were invited to see the Carnival Conquest today in Port Everglades. 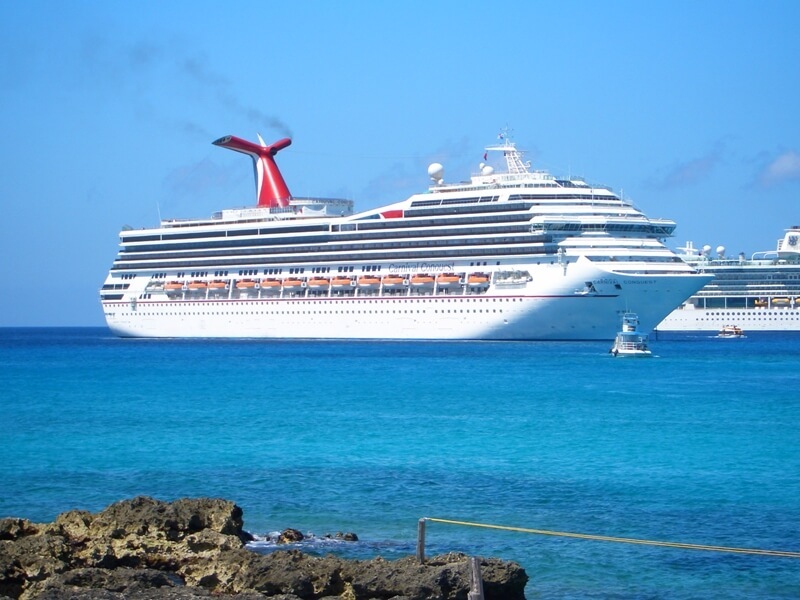 While she is one of the older Carnival ships, she is truly in good condition. Décor throughout is the traditional dark colors and a lot of woodwork. The theme around the ship in the public areas is around the Impressionist era with a lot of paintings from that period. You will also find quite a bit of large décor accents in brightly colored glass to give it more of a modern feel. Cabins were fairly standard. My favorite were the ones at the bow of the ship. They have wonderful floor to ceiling slanted windows with roller shades that provide fantastic views. This report was prepared by Diana Bloss on August 1, 2017. The views expressed as solely those of the author and not necessarily those of WWTCA.